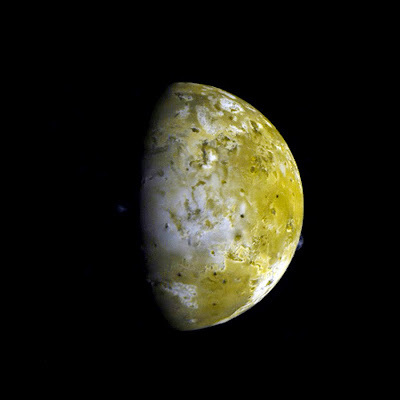 Due to the nature of its orbit, although Galileo made several close approaches to Io, some parts of its surface were never seen except from a great distance. Some of these areas were covered by Voyager 1's close flyby, but others were not. The are centered around Kanehekili, the volcano which can be seen erupting above the limb at about four o'clock, is one such place. A major eruption was seen here earlier this year. Hopefully a new mission will be able to fill in this gap. This image was taken on May 6, 1997, during Galileo's eighth orbit around Jupiter.